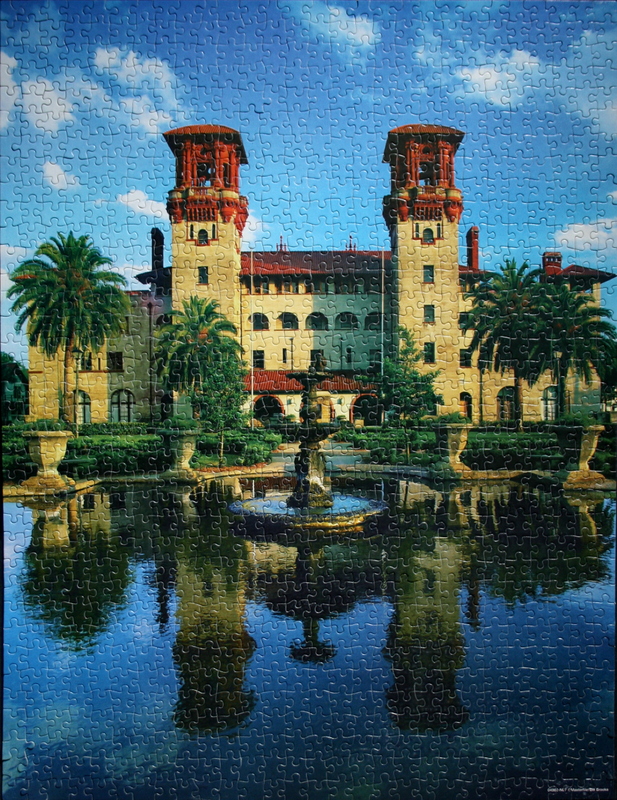 Puzzle: This puzzles was a little more challenging than a usual 500-piece puzzle, since so many parts of the building look alike and carry the same colour scheme. 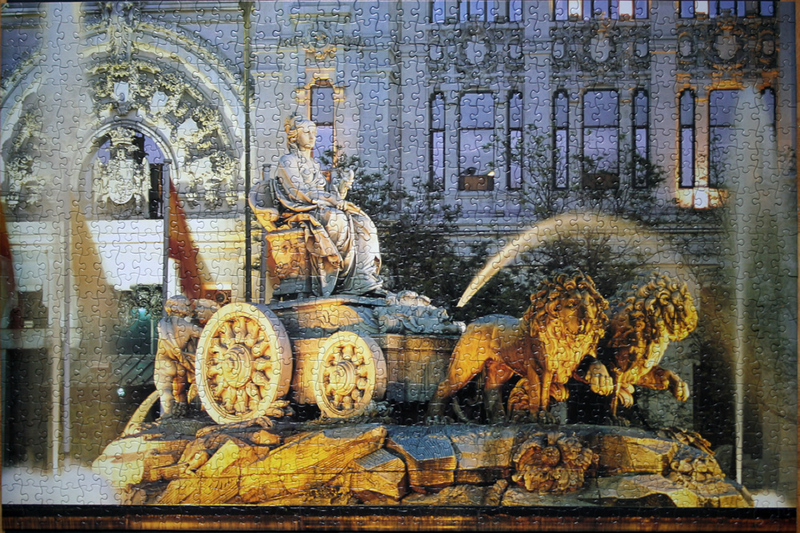 However, with Sure-Lox pieces fitting snugly into place, it was very pleasant to do nonetheless. The sky and water are best places to start, as are the dark areas on the edges. 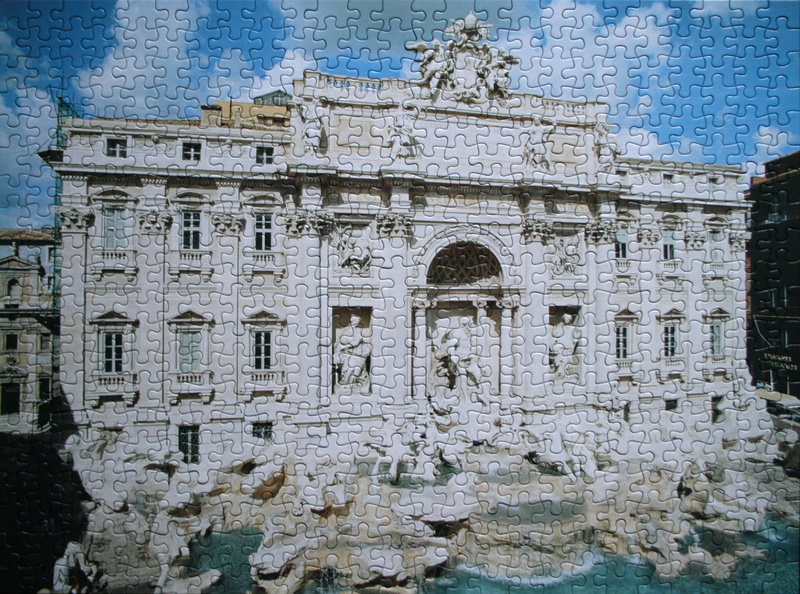 The windows, the balconies, the archway, the roof, and the regions close to the water are distinct enough to follow. 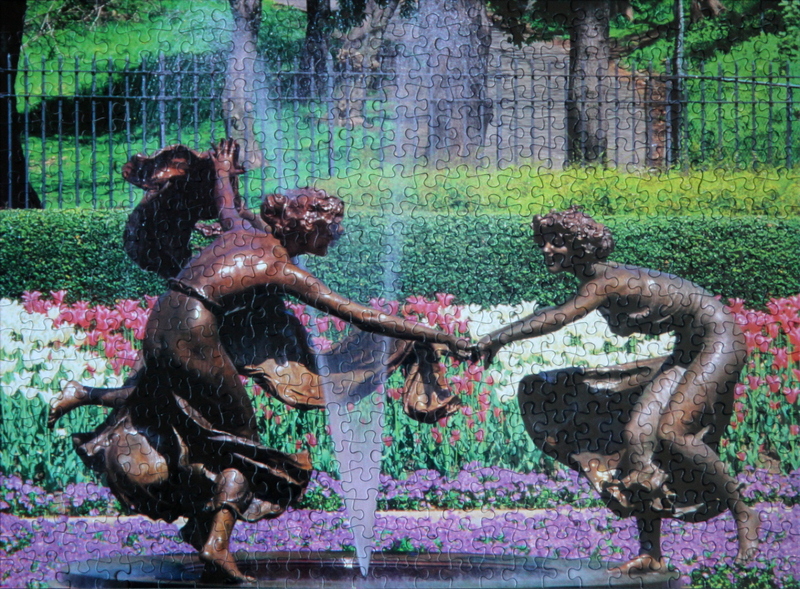 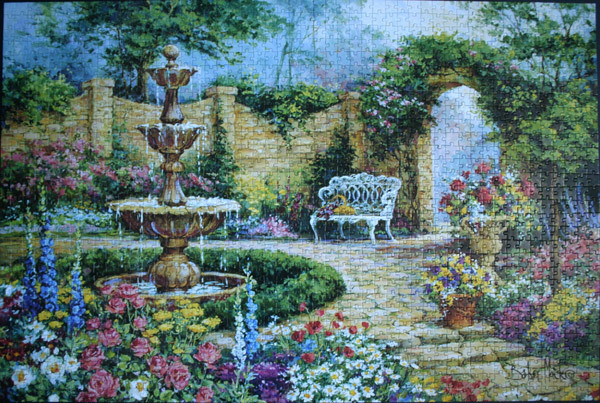 The rest are a matter of completing the gaps between the earlier-placed pieces. 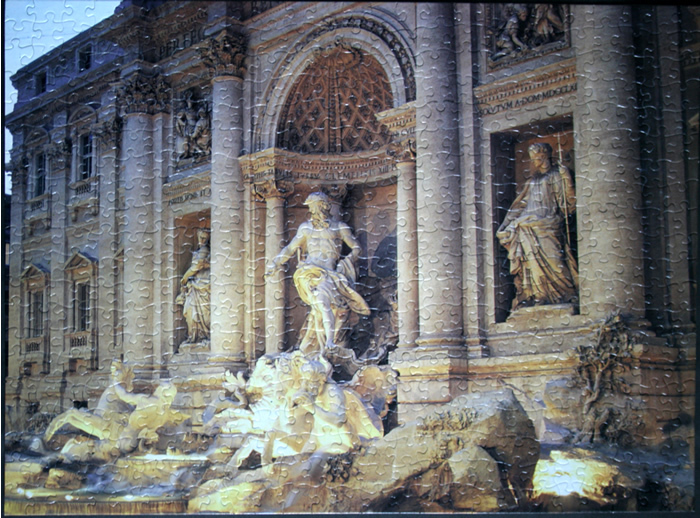 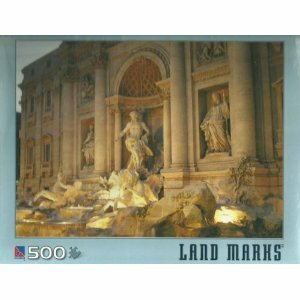 I have done another 500-piece puzzle of a close-up of the Trevi Fountain. Notes: The Plaza de Cibeles is a square with a neo-classical complex of marble sculptures with fountains that has become an iconic symbol for the city of Madrid. Notes: The Trevi Fountain (Italian: Fontana di Trevi) is a fountain in the Trevi rione in Rome, Italy. Standing 25.9 meters high and 19.8 meters wide, it is the largest Baroque fountain in the city and one of the most famous fountains in the world.